THE HORN wouldn’t quit. The dust and insects danced in the yellow of the headlights that beamed forward in the dark of the night. Rumor was that he had been drinking. They had come from a party together and he was driving her back home. Except they never made it back. He was allowed to leave the scene of the accident. His blood alcohol never tested, and, therefore, he was never charged. Perhaps it was an oversight. Perhaps incompetence regarding protocol from the first to arrive. Perhaps a friend thinking he was doing a favor because he knew. They hung there that morning—some stapled on telephone poles and stop signs, others taped on storefront windows and doors. It was 7 a.m. the first morning I noticed the signs. I was young, although the age I can’t recall—just a boy. No older than seven, if that. I was on foot, walking to the post office to pick up the mail for my dad. A Saturday. They were young, the driver and passenger. Young love I suppose you would call it. She used to babysit for a couple down the street who had a young son. I often saw her car at their house down by the pool hill. He was my cousin, the driver. We were related somehow I don’t know. When I was younger, there were times we’d visit his parents’ house a few towns over, and he was often there, still relatively young himself. He’d let me come into his room where music played. 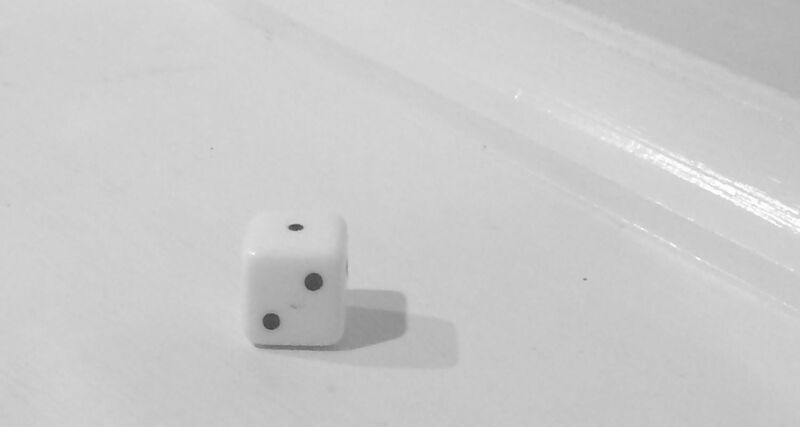 He handed me a die once when I visited. It was white, made of bone with black eyes. Later, when I was a teenager, I drilled a hole through and placed it on a ball chain necklace. He was never the same after the accident. Then, one day, decades later, he up and vanished without a word, and walked off the face of the earth. He was never seen again. No trace of his body ever found. Dead or alive, no one knows with certainty. Perhaps he went to meet her, the girl in the photo.